SFX | I Review Too . . . Throughout 2012 I’ve been lucky enough to contribute to the biggest science fiction and fantasy movie magazine currently on shelves in the UK. For me, it’s been a geek dream come true. 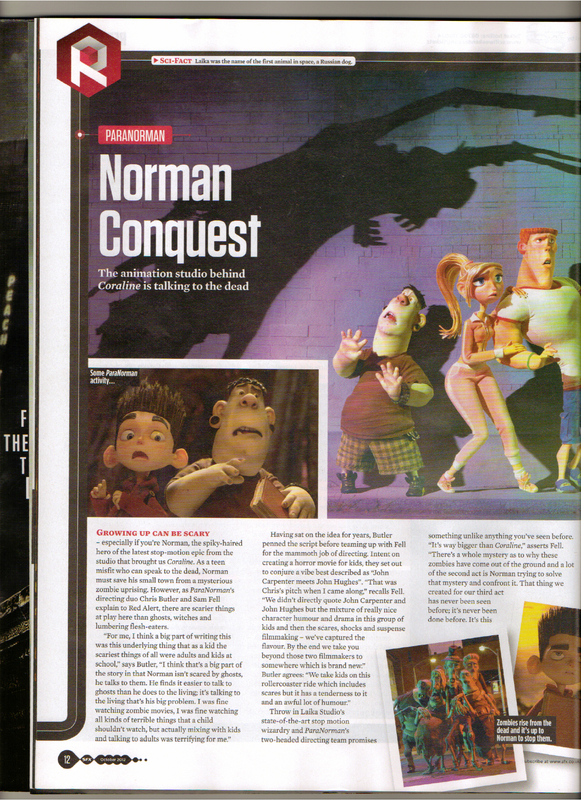 I get to talk to some of my movie heroes and see the finished piece in print. What more could I ask for? Here’s a round up of my recent SFX news pieces. Click on the images for a better look! Alex Winter is a busy guy. He’s spent the better half of the past decade chronicling the rise and fall of Napster and the slow death of the music industry for his upcoming documentary Downloaded. He was kind enough to chat to me between editing duties to discuss the long in gestation project and share his thoughts on the finished project. He also gave me an update on where things are at regarding the highly anticipated return of time-traveling dudes Bill and Ted. Word is that the script’s in, the tone’s right and everyone’s keen to get started on it. 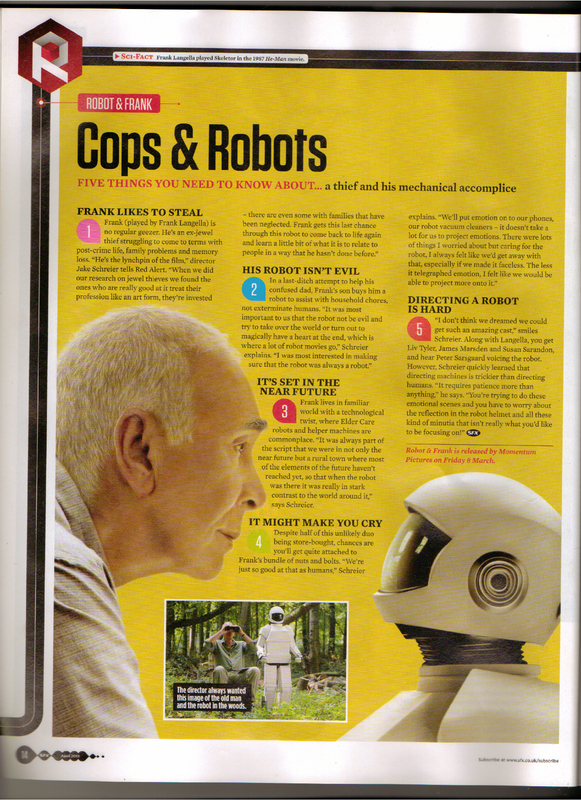 This mini news story was printed in SFX issue 218. Following my chat with comic book author Eric Powell, SFX expressed an interest in covering the upcoming movie adaptation of The Goon. 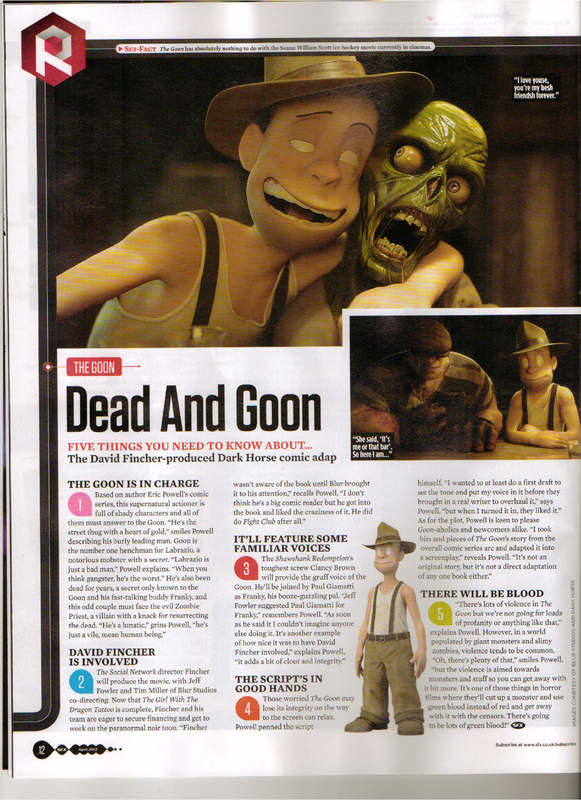 Here’s my ‘Five Things’ piece as seen in issue 219. A while back I got to interview my old Film Studies tutor Joseph Delaney. Since I left college, he’s swapped the world of teaching for the world of ghosts, witches and big budget movies thanks to his popular ‘Spooks’ novel series. Published as The Wardstone Chronicles (there are around 9 books, and counting), the series is currently being adapted into The Seventh Son, a large scale fantasy blockbuster starring Jeff Bridges, Julianne Moore and Game of Thrones’ star Kit Harington. This feature ran in issue 219. Ben Wheatley is one of the most exciting British directors around at the moment. Having helmed last year’s creep-fest Kill List and recently released the twisted Sightseers onto audiences, he’s more than proved himself as a one-to-watch. He’s got a couple of exciting projects in the pipeline but when I talked to him earlier this year it was his cops-VS-Monsters action movie Freak Shift that we ended up focusing on. Artist Drew Struzan is responsible for some of the most iconic movie images in cinema history. Having created the artwork for the likes of Indiana Jones, the Star Wars Trilogy, Back To The Future and The Thing, Struzan has compiled an unparalleled body of work. He’s also given audiences some of the most memorable portraits of their favourite movie characters. Filmmaker Erik Sharkey decided to celebrate Struzan with his upcoming documentary Drew – The Man Behind The Poster. I talked to Erik to find out more. There’s lots of comic book adaptations headed to cinemas these days. I talked to writer/artist Tim Seeley about the planned adaptation of his beloved comic Hack/Slash. A twist on the tried and tested rules of the horror genre, in Seeley’s world the sultry Cassie Hack (a play on the iconic ‘final girl’ trope) hunts down horror movie baddies with her psychopathic partner Vlad. Can’t wait for this one. This is probably the closest I’m likely to get to the biggest geek gathering in the world. Shortly before the release of filmmaker Morgan Spurlock’s insightful Comic Con doc, I was fortunate enough to talk to the man himself about his love of all things pop-culture. This elongated news feature kicked off the SFX news section in issue 226 and subsequently proved to be my biggest article published in the magazine to date. Like some sort of word-obsessed Spiderman, my thought process with this piece was ‘With more copy comes more responsibility’. The structure of every sentence mattered and the ability to convey a lot in a limited space was key. Luckily I had some great quotes from the movie’s directing duo Sam Fell and Chris Butler to work from. In the sci-fi movie world you don’t get much bigger than Lance Henriksen. The guy’s battled Aliens AND Predators, he’s brushed shoulders with a Terminator, summoned Pumpkinhead from his dusty grave and drank blood in Near Dark. Saying I was a little nervous was putting it lightly. However, all these pre-chat jitters proved to be completely unnecessary. Warm and welcoming, Henriksen couldn’t have been any more open and enjoyable to talk to. Here he is discussing his favourite parts of the genre. Director Jacke Schreier’s heist movie with a twist follows a retired ex-con who forms an unlikely relationship with a small, humanoid helper robot. It may sound a little odd but Robot & Frank was one of 2012’s best, catching you off guard and with its dry humour and unexpected sentimentality. I was lucky enough to chat to Jake about the difficulties in directing robots. Prepare to hear a lot more about Shadow & Bone. As the first instalment of author Leigh Bardugo’s Grisha Trilogy, this Young Adult fantasy novel was cherry-picked for the screen by Harry Potter mega-producer David Heyman. I arranged a chat with Bardugo to see where things were at with the movie adaptation.